Cook oatmeal in microwave until done*. Add in butter, cinnamon, and half of the maple syrup. Stir in well. Add another dash of cinnamon and the rest of the maple syrup, slightly stir. Enjoy! 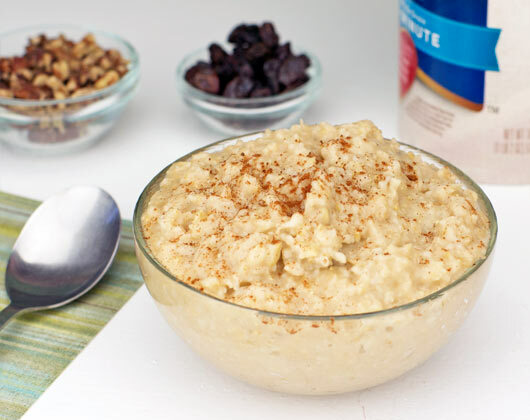 * To make oatmeal in the microwave using Old-Fashioned oats: combine oats and water in a microwave-safe bowl. Microwave for 90 seconds. Stir and microwave 60 additional seconds. Who can resist this cinamonny maple flavor? It's great and I have it every morning! Mr Breakfast would like to thank saucy_siren for this recipe. Recipe number 1826. Submitted 9/1/2006.